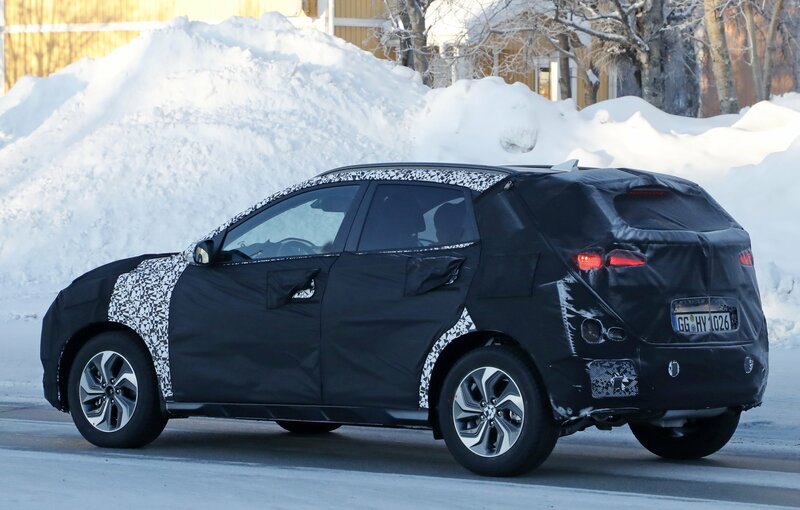 Just after we saw spy photographs of the Kia Ceed Sportswagon PHEV, the internet world provided us with photographs of the new Kona PHEV. The small Hyundai city crossover is already available in its gasoline, diesel, and electric guise. The upcoming PHEV will, most certainly, circle out the offering of the highly successful crossover. Caught on film (well, on an SD card really), somewhere in Germany, the new Hyundai Kona PHEV may even prepare us for the upcoming facelifted version of the same car. Before all of that, we have to get adjusted to the fact that small, classy, and fashion conscious crossovers are selling as hybrids like hotcakes. Just note the Toyota CH-R hybrid. We actually do know that the photographed Kona is a hybrid thanks to an eye witness of the photographer who said that it was filled up at a petrol station, but it drove off completely silent probably on electric power alone. Well, in that case, that makes this an “ear witness”, but what the hell! ?